Elie Wiesel laughing over the big joke he’s playing on the public. 1. When did Elie Wiesel arrive at Auschwitz ? Could he have received the number A-7713? This article proves that the answer to the second question is “no” … which makes everything else fraudulent and impossible. 2. Gigantic Fraud Carried Out for Wiesel Nobel Prize This article points out that the main evidence for Wiesel to have been incarcerated at Buchenwald is a famous photograph he purports to be in, which was used to win him a Nobel Prize. But the person identified as Wiesel is shown conclusively NOT to be Wiesel. 3. “Elie Wiesel was Not in Buchenwald” Made Simple Here, every piece of “evidence” used to place Wiesel in Buchenwald from the end of January to April 1945 is examined and shown not to apply. If, after reading these three articles, you still believe in the legend of Elie Wiesel, please write to me and tell me why because to my mind they pretty much destroy it. One of the staunch upholders of the Wiesel-Buchenwald tale was Jewish Prof. Kenneth Waltzer. He tried to refute what this website was saying, only to be knocked down and out for the count. He is now retired from Michigan State University, where he had his special Elie Wiesel projects going, and is only loosely associated with a film titled Kinderblock 66: Return to Buchenwald in an historical advisory role. Wiesel’s role is similarly reduced to five words between parentheses – “(including among them Elie Wiesel)” – while other names dominate the film. In [my] book “One Generation After” there is a sentence which perhaps explains my idea: “Certain events happen, but they are not true. Others, on the other hand, are, but they never happen.” So! I undergo certain events and, starting from my experience, I describe incidents which may or may not have happened, but which are true. I do believe that it is very important that there be witnesses always and everywhere. In other words, he is a false witness, but a witness nevertheless. He sees nothing wrong with that because the over-all “Holocaust” story is important for Jews and Israel, and relies on witnesses. There can never be too many witnesses, no matter if they were actually there or not. Even if what he “witnessed” did not actually happen, it is true (in his mind) because the conditions (he thinks) were such that it could have happened. Got that? Elie Wiesel is just the most famous false witness, but multiply him with thousands of others and you have … “The Holocaust”. So our job, the few enlightened ones, is to get the mass public to pay attention, and to force this information into the mass media. You could start by circulating the three articles above, and selecting them on search pages enough times to get them to the top of the page. Elie Wiesel Cons The World is quite competitive as far as visitors go, in spite of the ridiculously low and inaccurate rating given it by Alexa. It is popular because many young people and students search the subject regularly. Our job is also to have all our facts straight and not be stuck in the low aspiration of only wanting to show that Wiesel exaggerates or lies about what he saw in the camps. If he was in the camps, he will receive sympathy no matter how many lies he tells. But if he wasn’t there – that is the shocker and changes the whole dialogue. And from all the evidence, he wasn’t. Both contain original translations from the Yiddish forerunner of La Nuit and Night to reveal the what and the why of the changes that were made by Marion Wiesel in the new 2006 edition. 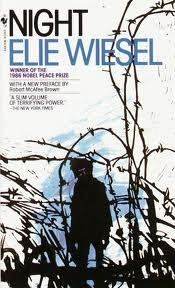 Elie Wiesel was unknown to Mel Mermelstein in the Buchenwald Camp A famous survivor of Buchenwald who lived in the “children’s block” didn’t mention Elie Wiesel in his 1979 book. Signatures prove Lázár Wiesel is not Elie Wiesel The signature on the back of the Buchenwald “release” questionaire had been overlooked until I noticed it was unlike Wiesel’s known signature. 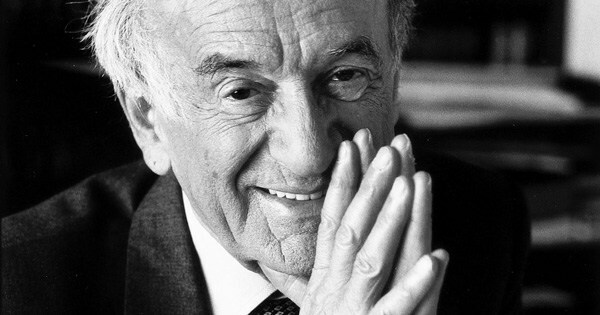 Questions on Elie Wiesel and the Sorbonne Great examples of how Wiesel invents his past. Elie Wiesel and the Mossad Part 2 Part 3 Part 4 Amazing story of Wiesel’s ties to the Irgun and Israel from his earliest days in France; his trips to Israel and his role as a translator and journalist during the German-Israel Reparations negotiations; his move to New York and involvement in bringing Soviet Jews to Israel. Concludes that Wiesel has always been an asset of the Mossad. 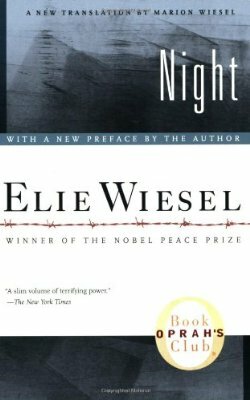 The Shadowy Origins of Night Part 2 Part 3 How the book Night came about and the impossibility of it happening the way Wiesel says. You will find that the common thread in these 9 articles is to reinforce my original statement. This is very powerful. You can put it together for yourself in your own way, but I will try to summarize my findings even more clearly in a future article.